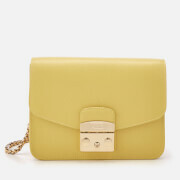 The Cambridge Satchel Company's eleven inch Satchel, handmade from durable, natural cow leather. Features a front flap with two buckle fastenings which open to reveal the main compartment and an outer pocket. 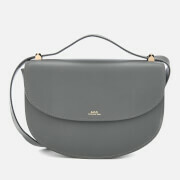 The structured bag is complete with a slim, adjustable strap. Finished with embossed branding, raw edges and nickel-plated hardware. E.N.